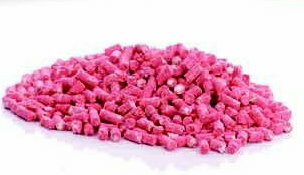 Pelleted bait formulations may be found in Contrac, Fastrac , Final and Terad3. The hard and compact shape satisfies a desire to gnaw. May be applied with a long handed spoon and placed directly into the rodent's burrow.